I just need to celebrate and drink tonight. For a simple but very fulfilling achievement as a father, i was able to put to sleep my 2 boys earlier than expected! Whew! 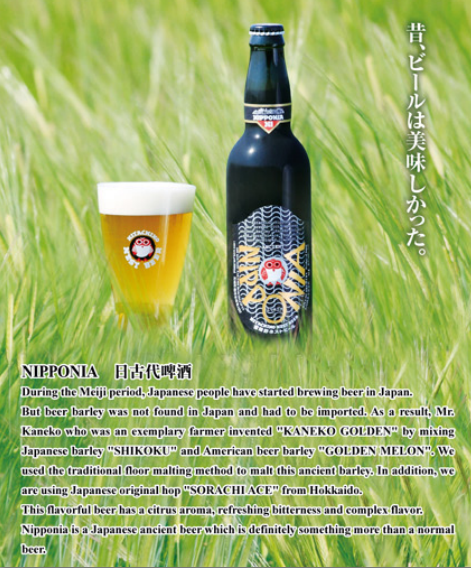 My drink for tonight is a special brew from Hitachino Nest, Nipponia. This beer was brewed with Japanese ancient barley known as 'Kaneko Golden' and 'Sorachi Ace' hop which was developed in Japan. Both ingredients are mainly from ancient Japan. I bought 2 of these 650 pesos bottle from Gilmore wines and Spirits last October. 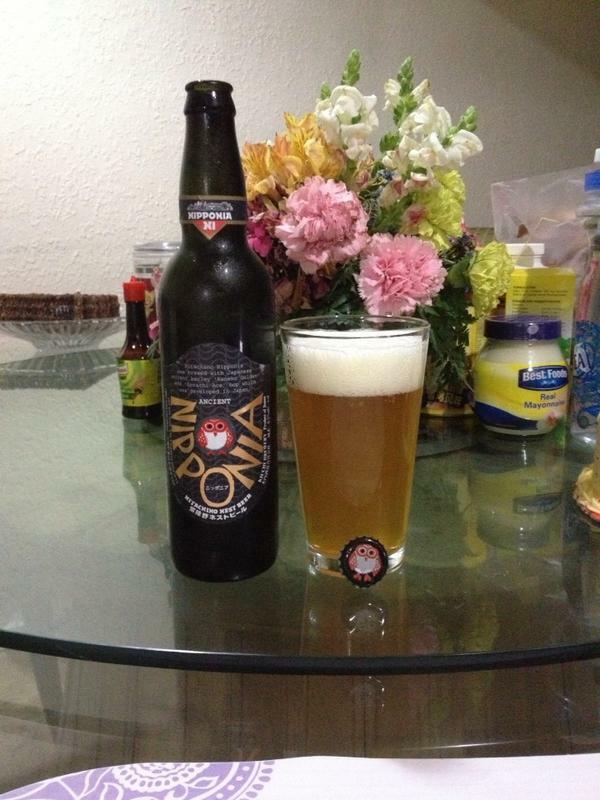 I shared one bottle to my budding craft beer lover cousins at the cemetery last November 1. After we finished tasting it, one of my cousin blurted out, "Bawal ang alcoholic drinks dito pag All Saints Day ah?!" Well, it was just tasting and we are responsible drinkers anyway. Shheesh! The good news is that they were amazed with the taste as a beginner, considering we just drank it not as chilled and from a plastic cup. Since i wasn't able to do my tasting notes back in the cemetery. I am doing it now. Nipponia is in a 550ml amber bottle. It pours to a golden brown color with a medium white head that easily dissolves. You can easily smell the citrusy aroma of the ale. It has a clean and crisp taste at your first sip then follows a mild bitternes from medium to finish. Very decent and easy to drink pale. ABV is at 6.5%. For me, my score would be 4 of 5. My beer buddy apps scores it at 3.48 out of 5.